Post by Maria Fernanda Becker, from Trance e Cultura Psicodélica. Read the previous article about Esoterism and Trance – Esotrance. The Fool is the cool. It is like a child at the moment of birth … He knows nothing, he fears nothing, everything is new to him, everything is within her reach, so is The Fool. In the image of the Fool is the lightness of the being, he continues to loose his way, free of any kind of mooring. This can bring restlessness and activity, but also changes to what is stagnant. It is contrary to the comfort zone … in fact, it does not even seem to know what that is. In the image of the letter you see a dog (there are versions with a cat) trying to draw your attention to an abyss in front of him, which he does not even notice, since he is distracted looking at other things. His clothes are threadbare, but he does not care because he is detached from matter. The flower in his hand symbolizes spring, blossoming into a new reality. 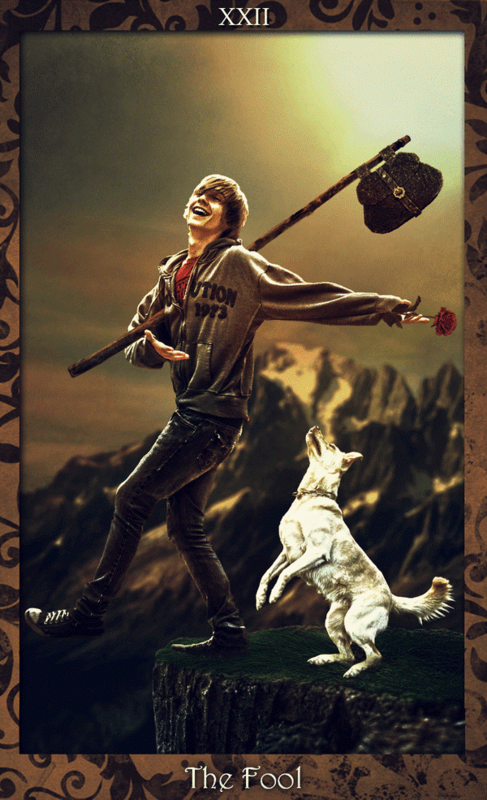 In a psychological reading, the Fool is hyperactive, suffers from a constant disturbance of attention, but … for the Tarot, the Fool is us. He – inattentive and detached from the world around him – is our first step to an unknown path, to chance that takes us beyond. 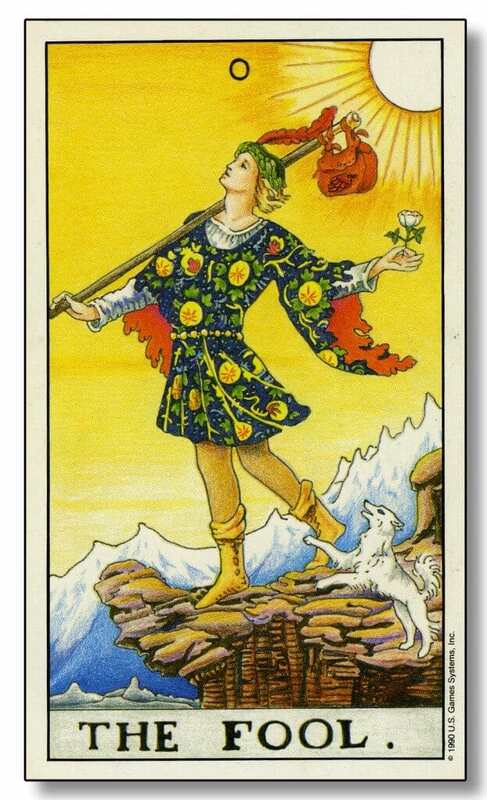 Symbolically the Fool goes on his way ready to live a new story, free, knowing that something amazing can happen every moment and accepts this fact without flinching. It also expresses a certain confusion, a slip here, another over there … but it is protected by its inconsequence. Another meaning that we find in this figure is of someone who goes on a quest, like a hidden desire that suddenly spills out, that goes after something that was suffocated a long time ago. This letter speaks of spontaneity, of living the naked life, as it presents itself. And accept that you will always be an apprentice. There are many esoteric forms of interpretation, but here we follow the idea that the Fool is the protagonist of a story, and that the Major Arcana represents the path that the Fool traverses through the principal human archetypes and the great mysteries of life. We call this path “The Fool’s Journey”. AND WHAT DOES TRANCE HAVE TO DO WITH IT !? Simple! The character here is the clearest and symbolic description of the soul of the “Trancer”, as some like to call. Your luggage is light, but its vibration, giant. One who apparently has no need to cling to anything, he transcends matter … but carries with him a determination and an energy to develop any kind of art, whether for himself – as a means of survival – or to nourish the spirit of a group. Freed from the domains of the ego, the further it will go. Even if this seems distant from their knowledge; His freedom and acceptance makes him, at the core of his essence, rest his deep desire to go beyond what he is. Nothing else holds him, not even his own self, since, apparently, he does not know the meaning of his existence and unconsciously seeks for it. As we see in the picture of the letter, he does not seem to see the abyss that the dog – representing in this case, his consciousness warning him of the limits of his own nature – desperately tries to warn him, ignoring him. In this vast mixture of worlds, at a distance from values ​​imposed upon him, our Fool instinctively walks his way and ends up finding other beings who, as crazy and free as he is, are open and pure to absorb new airs, the arts, pleasures and a miscellany of knowledge that is infinitely available to those who are willing to fearlessly follow their “Fool’s Journey”. 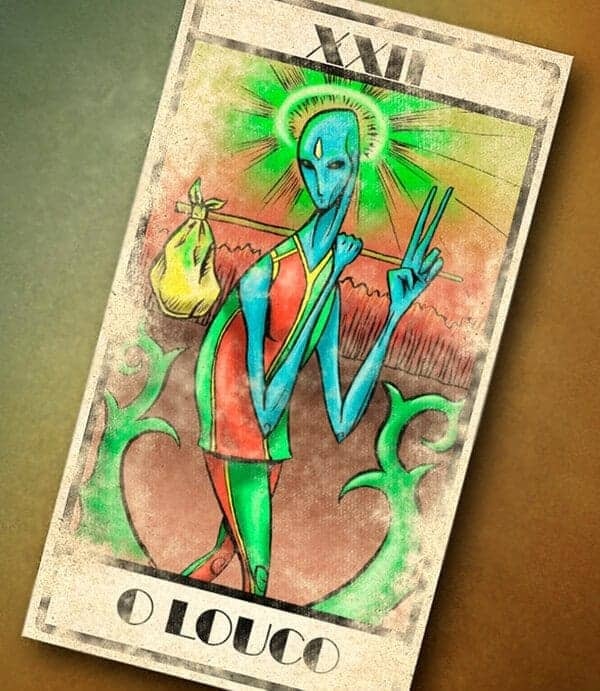 So, dear readers, as I have now done with the Fool’s letter, I invite all of us together to analyze the next steps of our “Fool” in the vast world of Trance, in this incredible journey of the 22 Tarot Major Arcana.